Finally, the fun part – taking pictures! We’ve covered cameras + background & lighting in the previous two blog posts so it’s now time to put it all together and start taking those perfect product pictures! Before we do that, there are some additional important tips I want to share with you. A tripod is a MUST HAVE accessory when taking product pictures. If you don’t have a tripod, then there’s simply no point in starting this process. If you absolutely cannot invest 10 pounds in a cheap tripod, then make your own (there are plenty of DIY ideas for this which you can Google)! However you do it, you MUST have something to hold your camera in a fixed position when taking product pictures. You won’t be able to get sharp pictures if you hold your camera in your hands (unless you have a really good lighting set-up that allows working with low ISO settings and a high shutter speed at the same time). But just don’t over-complicate this process, and use a tripod. All digital cameras these days have a built in LCD display where you can preview pictures BUT these displays are relatively small and you won’t see all the details of your items without extensive zooming in which isn’t very practical to do. To fix this problem, I recommend connecting your camera directly to your PC/laptop via a USB or mini USB cable so that you can check the images on your computer as soon as they’re taken. Modern operating systems will automatically detect attached cameras and treat them as external USB devices (like memory cards) so you can access an image and open it right after you take the picture. This set-up is also very handy for checking right away if you can fix a particular problem with your images in Photoshop. For example, you take a picture and see that there’s one small shadow around the product you can’t get rid of… what you do is open up that image in Photoshop with all your equipment still set up and see whether you can fix it. If you can’t, then you can just go right back and try to better position your lighting to get rid of the shadow (more on that later). Charge batteries! Yep, nothing hurts more than a battery that goes dead right in the middle of a successful photo session so make sure you fully charge your camera’s battery before you begin. Most DSLR cameras can also be directly attached to an AC/DC power source and use that instead of batteries. Whatever works for you, just make sure you don’t run out of power during your product photography session. Always play around with the distance and angle of your lighting units in relation to the product, as this can and will make a huge difference on the amount of light exposure you achieve as well as how effectively you remove any possible shadows form around the product. With a DIY set-up and daylight bulbs, you’ll often need to get much closer to the product as these bulbs aren’t as powerful as professional flash units. The final result you want to achieve is a product that receives an even amount of light from all 3 sides and doesn’t have any shadows around it. Obviously, you can create more artistic images by using just one side of lighting etc. but in this blog post series we really want to achieve basic product images that look great – so evenly lit on a pure white or pure black background. 2) Budget set-up with 2 lighting units. To further increase the amount of light on top of the item, in a set-up like this, you should ideally place a large sheet of white paper or a special reflective/mirror umbrella above the item. This way the light that comes from the right and left units will bounce on top and light the area above the item more evenly. 3) Budget set-up with just one lighting unit – FLASH! With small products this isn’t that big of a problem, especially if you have a decent, detachable flash unit mounted on your DSLR. With built in flash it will be more difficult to achieve any decent results however. So if you don’t have any additional lights apart from your camera’s built in flash, you’ll be better off using the following set-up…. 4) Near window set-up with no artificial lighting units. Be careful not to stand in front of the window when taking images as that will create a shadow. A timer function is a must have feature in a set-up like this! 5) Outside set-up with no artificial lighting units. Obviously, you’ll want to experiment with this as, depending on the season and time of the day, the angle of the sun and the colour temperature will differ. So always first check how well the item is lit and if there are any shadows before you start taking pictures. You can then always move things around to improve results. Sometimes on very clear & sunny days, you’ll actually get too much light and some cheaper cameras may not be able to produce any good results (lots of over-burn areas where white/light tones disappear). If that’s what you experience, try doing this in the afternoon when there’s less light out there or even use some sort of white fabric (like a bed sheet) to reduce the amount of sunlight you get. These are the 5 most popular product photography set-ups, though ideally of course you want to use the 3 flash/strobe kit as that will achieve the best results. IMPORTANT!!! Always try to memorise the layout of your set-up, or better yet take a picture of it! This way you’ll be able to exactly re-create it the next time you want to take product pictures. For large items (me? ), full sized back-drop background works best! Write down notes if needed as once you get that perfect set-up, you definitely want to SAVE IT in your memory so that next time you already have a workable model and don’t have to waste any time experimenting. Also, if you have a good, 3 head flash lighting set-up, do these photo sessions in a room where you can close the curtains so there is no side light coming in. That way you can create the exact same lighting environment whenever you have a product picture session, no matter what the weather is like. The last step is to take your item and position it with the background. Always use a microfibre cloth to clean your products properly. There shouldn’t be any dust or fingerprints visible! If you’re using a gloss tile as your background, use anti-static spray before you begin working as otherwise you’ll constantly get dust particles on it. Now we have our lights set-up, with the background and product in place. The last step is to actually configure your camera for the best possible results. 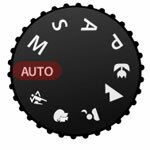 Most digital cameras these days have manually adjustable settings, unless you’re using a phone camera or something very cheap. DSLR cameras have even more settings that you can adjust compared to compact cameras but don’t be scared as in most cases all you need to use is AUTO mode! Yes, full auto mode, even on expensive DSLR cameras. First things first – on your camera, find where you can change the shooting mode and set it to AUTO (usually called A). Next step is to set the ISO. ISO settings change your camera’s sensitivity to light. The higher the ISO number, the more light the camera can take in. While this sounds very good, a high ISO also means that images will look grainy, so when we do product photography, we want to set ISO to the lowest rating possible – which will usually be ISO 100 or ISO 200. With most cameras you won’t have to adjust this anyway as by default they will have the lowest ISO possible pre-set. While for product pictures on the web we don’t need super large images (actually 1MP is more than enough), ALWAYS set your camera to the highest image size possible. If it is 12MP, set it to 12MP. 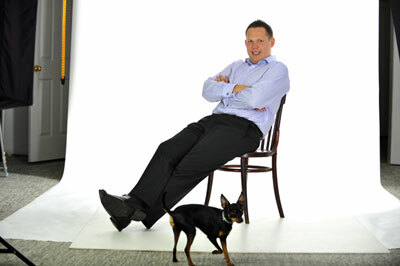 We do this so that we have more flexibility post-production – cropping, re-sizing images etc. Also, the bigger the image size, the better results you’ll see when editing with Photoshop (as there are more pixels for the program to work with). You don’t really need anything else other than the standard JPEG/JPG format. If you’re an advanced photographer, you can use the RAW file format which is more flexible in terms of post-production. For example, you can change white colour settings AFTER you take your image with no quality loss whatsoever. But RAW format requires using special software so if you’re not an advanced photographer, stay with JPEG for now. Filters/effects built into your camera- DON’T USE THEM! You don’t want to add any effects to your product images when taking actual photos. Everything can be done later on using a photo editing software. The last step is to set your camera to timer and you’re good to go. Why do you need to use the timer function? Well, to avoid any shakiness when you take pictures. 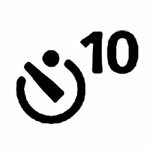 If your camera has an adjustable timer, set it to the lowest option possible, usually 3 seconds. That’s all you need to press the button and move away from the camera. You still want to stand still as the picture is being taken though, as walking on a wooden floor, for example, can also cause the tripod and camera to shake slightly. 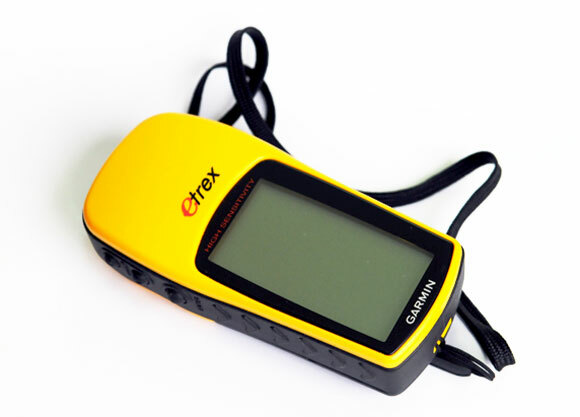 An alternative to the timer function is to use a remote control for your camera, if you have one. Or purchase a special remote control that works with DSLR cameras. I have this Nikon MC-36 wired remote for my Nikon D300 camera and it works great! But this is just an extra really, and you can achieve the same results by simply using your camera’s timer. When you’re ready to go, take your first pictures and see how they look on your computer. If you haven’t directly linked your camera with your PC via USB cable, simply take the memory card out of your camera and load the images on your computer. Don’t be shocked if the first results are miserable! Seriously, when I started out and took my first product pictures, they were shocking! A blue background instead of white, to name one of my problems. By the way, white balance is something you can actually manually adjust on most cameras. Refer to your camera’s manual on how to set-up custom white balance as that can make a huge difference to how WHITE your white background looks. * Item looks too dark. This is mostly because your lights aren’t powerful enough. Either try to place them closer to the item or simply look for more powerful bulbs. This could also be caused by wrong camera settings – check that ISO is correct and you’re on full auto mode. * White isn’t white. Check your camera’s white balance settings, especially if your white background looks yellow-ish or blue-ish as this is a clear sign that your white balance settings are incorrect. If the white looks slightly grey, that’s fine as it can be turned into white pretty easily with photo editing software. * There are some set-up details seen in the frame. Sometimes your background will be a bit too small and you simply can’t get a “full frame” white background. This is not a big deal as long as you see you’ll be able to crop out the image later on. * Image lacks sharpness. 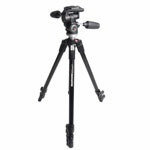 Most likely you’re not using a tripod or your camera is not set correctly. * Item is not in focus. With smaller items, you could run into this because your camera is simply too close to the item (not focusing properly). You should always pre-focus before you take a picture. IF you deal with very small items, a good macro mode OR ideally a macro lens on a DSLR camera is a must have! * There are shadows around the product. Re-position lights or increase power if needed. Alternatively you can increase the amount of light you get by increasing the ISO setting on your camera. Some cameras will also have manual exposure adjustment settings where you can increase exposure a little bit to get a lighter version of an image. These are just a few of the most common issues and obviously product photography is something that takes time to master. Be patient – you’ll get better at this each time you make an adjustment. There are plenty of good product photography and general photography guides online – just do a search on Google or YouTube and you’ll find answers to your questions there. I haven’t covered many of the smaller tips & tricks and various shooting modes (Aperture Priority, Shutter priority etc.) for one single reason – I don’t want to over-complicate this guide. It’s probably already too technical and for some of you – a bit scary to follow. But this guide should give you a basic understanding on how product photography works AND give you a clear, step by step blueprint to follow. Lastly, remember that the images don’t have to be 100% perfect right out of the camera. Unless you have a DSLR camera and pro lighting set-up, most likely some sort of editing will still be needed. Not a problem! Next week we’ll take a closer look at image editing using free and paid photo editing software. If you have any questions about today’s topic, please feel free to post them below, in the comments section. I would also LOVE to see your work – so please share any product images taken following my guide. Great info thank you – but having problems with correcting the white background colour – when I have taken the image the background colour looks fine and white but when I upload the image to my pc the background is dark and with a blue tone. This is usually because of wrong White Balance settings. Please check in your camera (manual) whatever you can set CUSTOM white balance and use that to get rid of that blue tone. I’m trying to take product photos of footwear. I have a shooting table, four lights and a high end DSLR but when the boot is standing at an attractive angle I can’t get the whole boot to be crisp and clear – either the toe is soft or the heel is soft. The camera is about 3m from the product. What am I doing wrong? Thank you for your coaching. You need to adjust your F number. Try it at 10 or so and see how that affects outcome. All sorted – perfect photographs. Thank you! A very helpful series. Thank you. I have been using a lightbox which up to now has been fine but I’ve had enormous problems shooting white/cream pearls. I have to shoot them with a white background and I just can’t seem to get a white background without over exposing the pearls. I’ll have a try this weekend without the lightbox and try using a remote flash to blowout the background. Again thanks for the article. It’s great to hear you find my guide valuable.